This treatment delivers up to 95% pure oxygen! 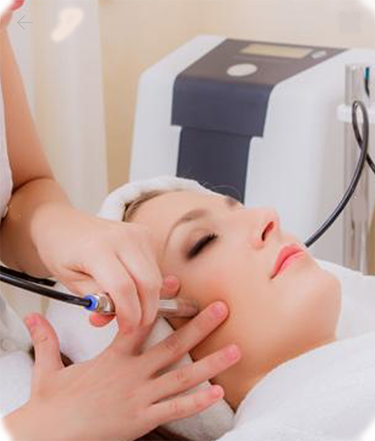 The oxygen infusion treatment is designed to smooth the lines and plump the skin. The treatment infuses antioxidants, minerals, and vitamins into the skin via topical hyperboric oxygen along with hyaluronic acid and lifting peptide serum. The skin is instantly rejuvenated, detoxified, firmer and completely hydrated. This unique treatment utilizes the amazing benefits of light therapy using specific diode light wavelengths to restore the skins natural cellular activity. There is no downtime and the treatment provides a gradual natural improvement from the first session. Reduces wrinkles, fine lines, age spots, sun damage and broken capillaries promoting collagen production and encouraging natural moisturization for more youthful skin. 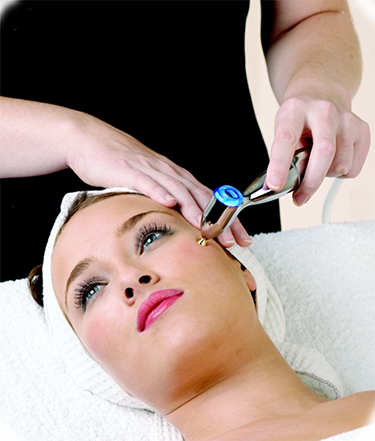 Microdermabrasion is a technique that removes the impurities and epidermal imperfections. Microderm-abrasion diminish the appearance of fine lines and wrinkles, sun damage, acne and scars, hyper-pigmen-tation and enlarged pores. It will leave your skin clean, fresh, tighter and well exfoliated.